Resource center What Is Court-Ordered Rehab? Substance abuse is an expensive affair on many levels, costing American society over $700 billion every year in expenses related to healthcare, crime and legal fees, and lost workplace production, the National Institute on Drug Abuse (NIDA) reports. Addiction is a debilitating, relapsing, and chronic disease that negatively impacts individuals, families, and society as a whole. And the problem is widespread, as over 20 million American adults battled drug and/or alcohol addiction in 2014, the National Survey on Drug Use and Health (NSDUH) publishes. Criminal behavior and legal troubles are often closely tied in with substance abuse. The National Council on Alcoholism and Drug Dependence (NCADD) reports that around half of all prison and jail inmates battle addiction, and close to 80 percent of offenders abuse alcohol or drugs. Around 60 percent of people arrested for a majority of crimes test positive for illicit drugs at the time of their arrest. Only about 20 percent of incarcerated individuals who need treatment for substance abuse receive it, and without treatment, 95 percent of inmates return to abusing substances after their release. Between 60 percent and 80 percent of people who abuse drugs will commit a new crime upon their release as well. Court-ordered, or mandated treatment programs, often serve as a diversion from traditional criminal justice methods for individuals struggling with substance abuse who have committed a crime. Court-ordered rehab can help a person get proper treatment for substance abuse issues, treating the real issue and not just the criminal aspect. A fair amount of people who enter into substance abuse treatment programs do so because of legal pressures, NIDA publishes. Individuals may be mandated to seek treatment through a drug court, as part of their probation, or as a condition of pretrial release or parole. Regardless of the reason for entering into an addiction treatment program, be it mandated or voluntary, outcomes can be positive and individuals have a high rate of recovery. In fact, NIDA estimates that those who face legal coercion to enter addiction treatment may actually remain in a program for longer and do just as well, if not better, than those who seek treatment without legal pressure. Court-ordered treatment can be highly beneficial in reducing the cost of substance abuse to society. The Atlantic publishes that the return on investment may be as high as $27 saved in criminal justice fees, healthcare expenses, and future victimization for every $1 spent on treatment and specialized court proceedings. Drug courts and court-mandated treatment programs can help afflicted individuals and their families directly, and it can also save taxpayers and society money in the long run. A court-ordered rehab or addiction treatment program is often offered as an alternative to incarceration. An individual agrees to get help for addiction instead of facing jail time, for example. Sentences may be reduced and criminal justice records expunged for those who complete court-ordered rehab. At time of arrest: Law enforcement officials may be able to mandate that a person enter into a substance abuse treatment program instead of booking them into the judicial system. During or before arraignment: This is when official charges are brought against a defendant, and there may be an option to get a person into treatment at or before these charges are presented. During pre-trail arrangements: Before a person enters a guilty plea, they may be mandated to be diverted into a treatment program instead, meaning that the charges will be dropped if they complete the terms of the program. During pre-sentencing: Before an actual sentence is handed down, a person may be mandated to enter into treatment and therefore receive a lesser sentence upon completion of the agreed-upon program. As part of a plea bargain: A person may agree to plead to lesser charges if they agree to enter into substance abuse treatment. As a condition of probation: Charges will remain pending conditionally and may be dropped if the individual successfully completes a mandated treatment program. Court-ordered rehab and mandated drug treatment programs can vary between jurisdictions. California, for example, has one of the largest drug court programs in the United States with rigorous rules and regulations set forth governing the care and eligibility of participants. The 2017 California Rules of Court dictate that individuals be consistently monitored and supervised by a judge, have access to a minimum of two levels of rehabilitation and treatment services, be provided with incentives, and have strict penalties for non-compliance. Court-ordered rehab may only be offered to people for whom substance abuse was a direct factor in the crime or if the arrest was for drug-related offenses. Typically, when violence is involved, entrance into these types of programs is not an option. A person’s criminal record, and current offense, is explored to discern whether or not the court feels the person will be an ideal candidate for diversion into an addiction treatment program or if incarceration is more fitting for the crime. Court-ordered treatment programs may include detox, community-based services, therapy and counseling, educational programs, treatment for co-occurring mental health disorders, and support group meetings. Court-ordered rehab may be completed in an outpatient or residential setting, depending on the person and the severity of addiction and drug dependence. 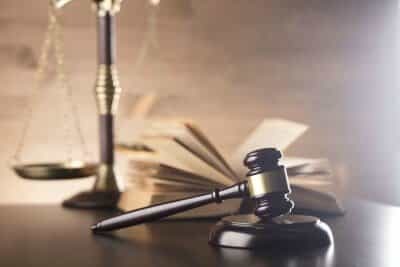 An individual may also be ordered to reside in a sober living home or other form of transitional living arrangement as part of a court-mandated program. Regular drug tests are usually part of court-ordered rehab to ensure treatment compliance. Individuals may be expected to enter into a specific court-ordered rehab facility for a set period of time or to attend a certain number of sessions and meetings per week. The length and type of the treatment program will depend on the exact terms of the court order. A person will generally need to pay for court-ordered rehab on their own, often with the help of insurance, and may be able to choose an eligible program themselves. Usually, there is a set amount of time a person will have to get into the program, and they will generally need to check in regularly with the courts throughout the terms of the agreement. Failure to comply with any and all rules set forth in the terms of a court-ordered rehab program will usually mean that the individual will face the original charges. They may have to pay a large fee, face criminal charges, and/or serve the terms of the original sentence before they were diverted into treatment. The National Association of Drug Court Professionals (NADCP) publishes that there are close to 3,000 drug courts around the country, serving more than 130,000 people. A drug court, or specialty court as they are often called, helps eligible individuals struggling with substance abuse and addiction to get proper help by going through a different criminal justice system than the traditional criminal one. There are several types of drug courts, from adult to juvenile to family dependency courts. The laws and regulations governing drug courts may also vary from state to state. In general, individuals who commit offenses that are non-violent and involve drugs (or intoxication at the time of arrest) may be eligible to participate in a drug court. Drug courts are usually part of a full continuum of care involving the legal team, both prosecutor and defense attorney as well as the judge, and treatment providers in all aspects of treatment to ensure a positive outcome. The main goal of a drug court and court-ordered treatment program is to help individuals to stop using drugs and/or alcohol and to move forward in recovery. A drug court typically keeps individuals in some form of a treatment program for a minimum of one year and maintains strict supervision and regular check-ins during this time, NADCP reports. Individuals are provided with comprehensive addiction treatment and expected to remain abstinent from drugs and alcohol (and tested regularly). The judge will oversee and consistently review a person’s progress, and the individual may move between levels of care as needed. NADCP publishes that if frequent judicial supervision is not provided, between 60 percent and 80 percent of individuals will prematurely drop out of treatment, and many will not graduate from the program. Regular check-ins and supervision can increase treatment compliance and recovery. Frequent court appearances are expected as well, and individuals are regularly offered incentives or rewards for positive progress and sanctions for not adhering to the program. Sanctions may include moving a person into a more structured level of a treatment program or termination from the drug court program altogether. Court-mandated rehab can take many forms. NIDA reports that addiction treatment, mandated or voluntary, that provides a continuity and full continuum of care as part of a comprehensive program can reduce crime and promote sustained recovery.